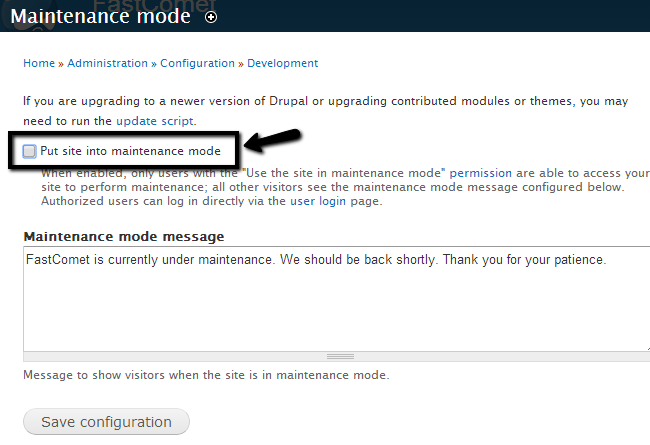 The current tutorial will review the process of enabling/disabling the maintenance mode in Drupal. One of the core features of the script, it will allow you to make changes on your website and no one will be able to see them until you complete them fully. Note that when you activate maintenance mode, you will still be able to see your website if you are logged in as administrator. However, if you log out of your account, you will see a message similar to the following. First you need to log into your website as administrator and then navigate to the Configuration tab from the main menu. 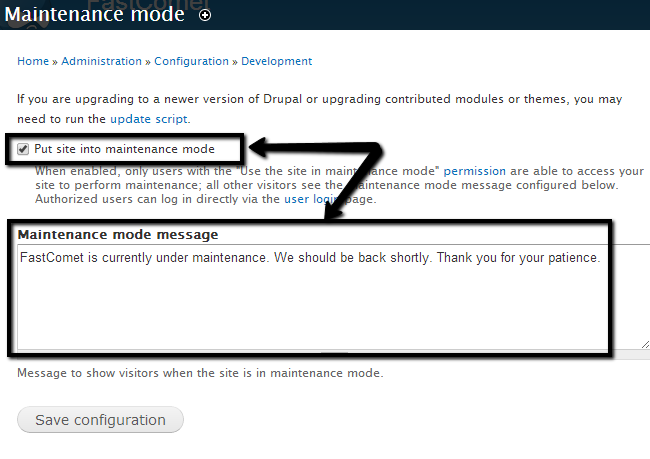 Locate the Development section and then click on Maintenance mode. Check the Put site into maintenance mode option and edit the Maintenance mode message as per your needs. Click on the Save configuration button to enable the maintenance mode. To disable the maintenance mode, you need to log into your website as administrator and navigate to the Configuration tab from the main menu. 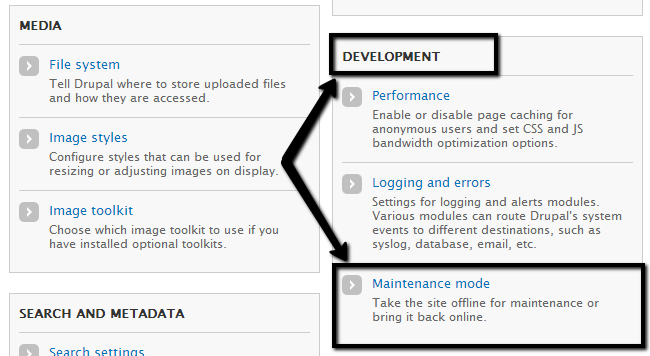 Disable the Put site into maintenance mode option. Click on the Save configuration button to disable the maintenance mode.